Proper solid waste management is just one of the many intricacies involved in the effective management of a correctional facility, but the impact can carry a lot of weight-literally. Correctional facilities hold hundreds, sometimes thousands, of inmates. In the feeding, training and the day-to-day activities of each of these inmates, tons of solid waste are produced. As the New York State Department of Corrections has discovered, much of this waste is recyclable. Solid waste programs are present in each of the 70 correctional facilities under the jurisdiction of the New York State Department of Corrections, and nearly every one of them now recycles. He state correctional facilities are charged with holding the state’s more than 71,000 inmates, in facilities from work camps on up to maximum security facilities. Just as in many other states, the correctional system is directly impacted by state recycling regulations, such as the Solid Waste Management Act of 1988. This act made it mandatory for all state-regulated facilities to incorporate a recycling program into their solid waste programs. Then, in 1989, the importance of this Act was reinforced by the Governor with Executive Order 142, maintaining that all state agencies should begin recycling. program but many of these recyclables were being generated in the food service facilities and dining halls. As a result, they centered a large portion of the program on this area. Each day, more than 200,000 meals are prepared within the New York State Correctional system and with each of these meals, recyclables are produced. 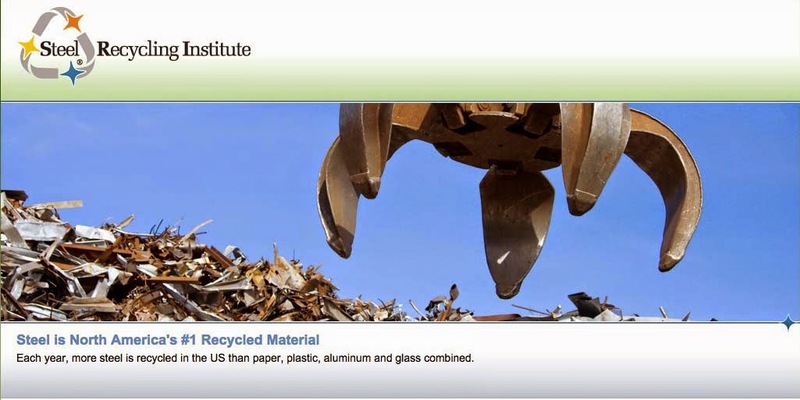 Steel cans and corrugated cardboard are the top two recyclables generated by weight within this area. Many of the ingredients in these meals come stored in one-gallon steel food cans. Steel cans are a natural choice to include in correctional system recycling programs as they use thousands each day and there is a stable market that has been in place for years to recycle them. In a majority of the state correctional facilities, the steel cans are emptied and then rinsed in dishwater or cleaned in extra space in the dishwasher. The cans are then loaded into clear plastic bags, which are collected and stored. There is also a food production unit within the system, which prepares the food for 30 prisons. Within this facility, the rinsing and crushing of the steel cans is automated, and the crushed cans from this unit are also stored for pick-up. Once a week the stored cans from the system are collected and transported to one of eight regional processing facilities. At the processing facilities, the cans are baled and prepared to be sent on to steel mills to become new products. Last year, the New York State Correctional System recycled more than 2,100 tons of steel cans. This is in addition to the 510 tons of steel recycled from machinery changes, refurbishments and scrap from vocational programs. Steel is everywhere in correctional facilities from washing machines to steel appliances to steel cans. The buildings themselves are even built from steel. Behind each of the five main restaurants in Sonora, Texas rests a bright yellow dumpster. These dumpsters play an integral part in the town’s commercial/institutional recycling program, which was set into motion in early 1994. The town provided the restaurants with the dumpsters in which to source separate and store one-gallon steel cans. One-gallon steel cans play an important role in food service recycling programs. Because more than 90 percent of metal food containers are made from steel, anywhere food is prepared, steel cans are used and should be recycled when empty. Restaurant staff employees rinse one-gallon steel food cans clean with leftover dishwater. The cans are then loaded into the yellow dumpster, where they are collected once a week by truck and taken to the town’s storage center. There, the steel cans are combined with recyclables collected from the town’s drop-off recycling program. The town’s drop-off recycling program was established in 1990. Residents source separate steel and aluminum cans, glass bottles and jars, used oil and steel oil filters, and tires into separate dumpsters. The collection site is maintained daily by town personnel. Steel cans are delivered to a ferrous scrap yard in San Angelo. About seven tons of steel cans were recycled last year. “The philosophy behind our recycling programs is that at least we’re keeping these recyclables out of landfills,” said Jim Garrett, recycling coordinator for Sonora. At the Walt Disney World Hilton, Chief Engineer John Steele has structured a recycling program in which simplicity is the primary focus. The program includes a variety of recyclables: steel food cans, aluminum beverage cans, glass and plastic containers, newspaper, office paper, cardboard, soap, grease and other items such as carpeting. A lot of research went into the program before it was implemented in the summer of 1990. Steele asked all hotel employees what recyclable materials they used in greatest quantities. Collection bins for the appropriate materials were then placed in the closest location possible. In the kitchen, one-gallon steel cans are routinely recycled. The steps that the hotel follows are the same as those recommended by SRI: (1) the can is rinsed, using no extra water, (2) the lid and bottom of the can are removed, and (3) the can is crushed and placed into the storage bin along with the lids. Steele determined that 70 percent of guests would participate in a hotel recycling program. Since he does not believe that any of the employees should have to “go through garbage,” a place card in each room asks guests to leave their recyclables on the desk or table in the room. The housekeeping staff collects the materials using a bag that hangs on the cleaning carts. The savings have been tremendous. The year before the program was established, the hotel paid $30,000 for trash removal; the following year it paid $8,200. Since the recyclables are source separated, employees process them according to end market specifications. In the case of steel cans, they are baled.